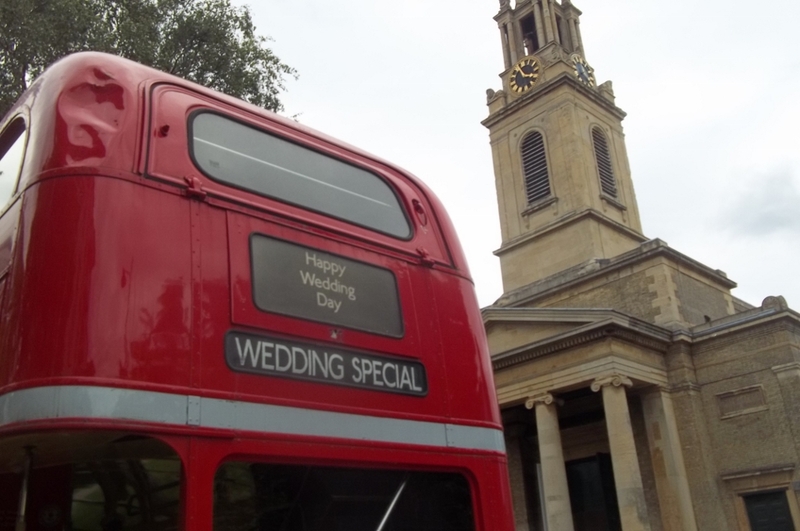 The wedding special drew up at St James today, bringing first the bridesmaids, and then the bride and her father. 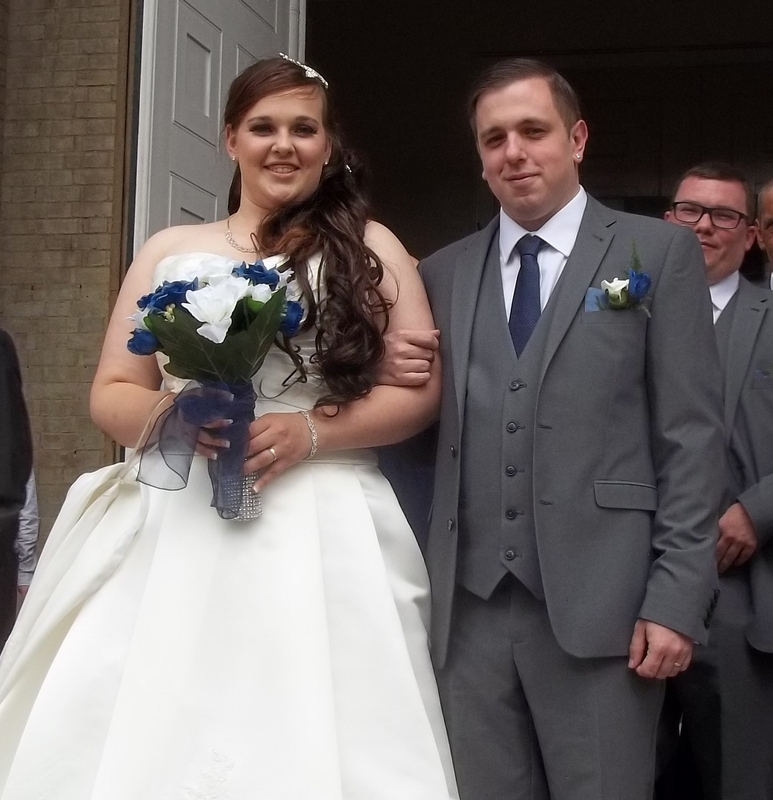 It was a special day for the happy couple, Nicholas and Jessica, as they made their marriage vows to each other, as they embraced God's wonderful made-to-measure, specially-created-for-us, relationship that the Bible calls marriage. May God bless Nicholas and Jessica in their new life together. 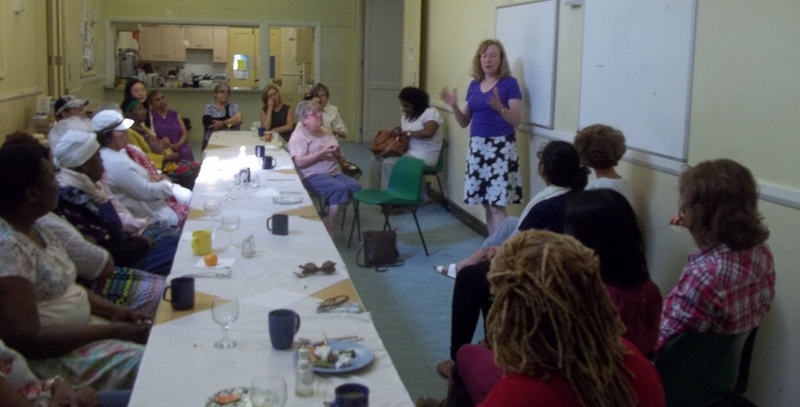 Sonia Phippard, Reader at St Mary Magdalene, Peckham, was the guest speaker at today's Women's Breakfast at St James. Sonia is a senior civil servant and has received a CBE for her work in the public service (presented to her by Prince Charles). She shared with the ladies how she lives out her faith at home, at work, and at church. It was another reminder to pray for those who are engaged in public service, both the elected politicians, and the civil servants who work for them. 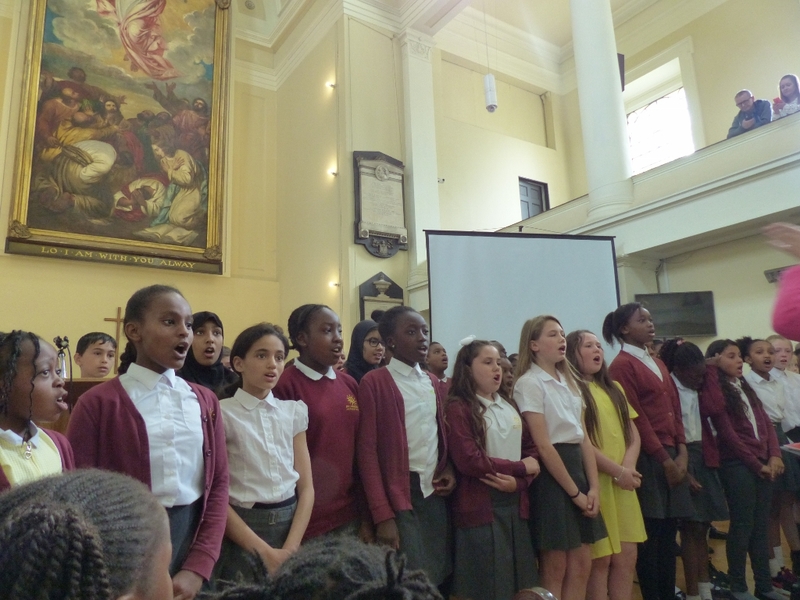 Last day of term for St James's School and the children, parents, governors, and staff came to church for our Leavers Service. 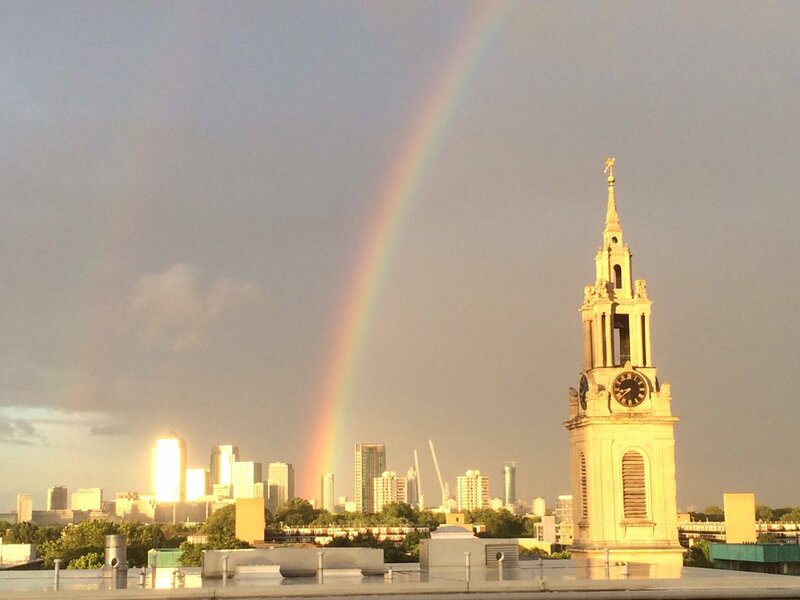 I spoke about what I felt as an eleven year old and what they might feel like going off to 'big school' after seven years at St James's. I told them about Joshua and how God had said to him: 'Do not be afraid or discouraged, for I, the Lord your God, am with you wherever you go' and I prayed that each of our children would always remember that the LORD God was with them, wherever they went' - both now and in the future. The we sung some of our favourite songs, we said farewell and thank you to the staff members leaving, we made presentations to our leavers, and then, praying for God's blessing, we went merrilly off for the holidays, after another busy term at St James's (but not before there were lots of tears and much signing of shirts by our leaving children). 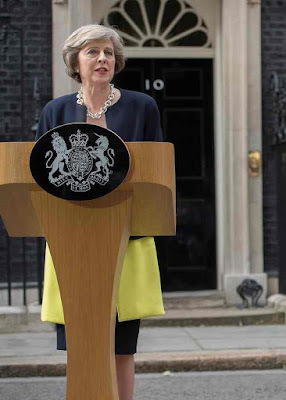 Today the UK joined Germany in having a vicar's daughter as its head of government. We pray for her in her new weighty responsibilities that she will be guided by those convictions and strengthened by God's grace. 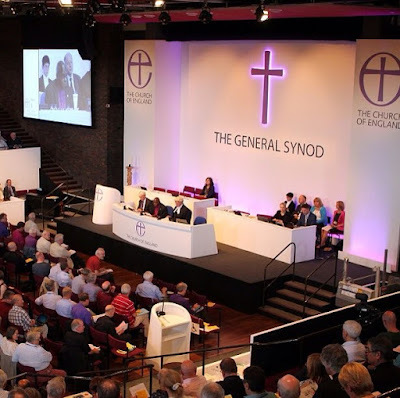 For the last five days I have been at the University of York for a meeting of the Church of England's parliament, the General Synod (below). 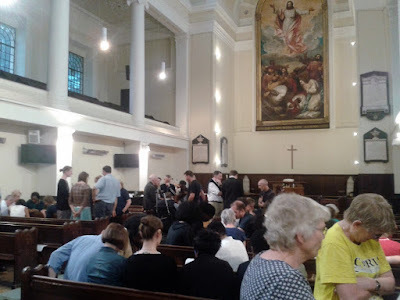 After starting with worship on Friday afternoon, we had an address from a bishop of the German Lutheran church, followed by a presentation of the Archbishop of York's six-month pilgrimmage of prayer and witness around his diocese. 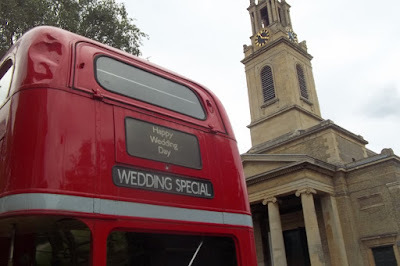 Saturday morning was taken up with some detailled work on draft legislation, including changes to the canons which, if passed, will allow clergy officially to dispense with the wearing of robes for Sunday worship. Visions of mankini wearing Vicars got the press rather excited, but, needless to say, something far more mundane was envisaged in the absence of robes (eg ordinary clothes and a clerical collar, as is practised already in countless parishes). We also covered the senstive subject of the funerals of those who have committed suicide. In the afternoon, we discussed two very significant reports. 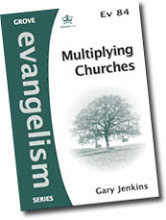 The first was on the programme of 'reform and renewal', designed to better equip the church for the work of mission. Some really good stuff is going on here. The second report was on church education. Over a million children are educated in Church of England schools and the number is set to rise if expansion plans go ahead. It was a good report, but in my opinion, it could have said a bit more helping children come to know Jesus as their saviour and friend, and I was fortunate enough to be called in debate to make a speech along those lines. I fear that children at school are always being exhorted to be good, but, being a Christian is not about 'trying hard' but knowing Jesus love and forgiveness in your life. That's what our children need. That's what we all need. 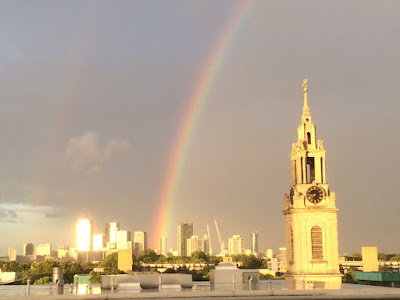 After Supper we heard a report from the Archbishops Council and agreed a budget of £37 millions, the largest part of which covers the cost of training new clergy. The really significant thing here is that the Church is taking great strides to invest in church growth specifically in the poorest parts of our country. This is really good news. The next day was Sunday and Synod members decamped to York Minster for Holy Communion - which I normally do, too but this year I headed off in the opposite direction to Heslington Church (right), the village church, close to the university, which I attended on Sunday mornings when a York student in the late 1970s. I was confirmed here in 1978 and I was moved this Sunday to recall that moment, and to thank God for all I learnt about him while I was a student in York. After lunch on the Sunday we entered 48 hours of 'shared conversations' on the subject of human sexuality and the use of Scripture. General Synod sessions are usually open to the public and the press but for these two days we met in private to pray, listen and discuss. Thus ended another General Synod. We meet again in February (in Westminster). Not even the football could keep them from praying. 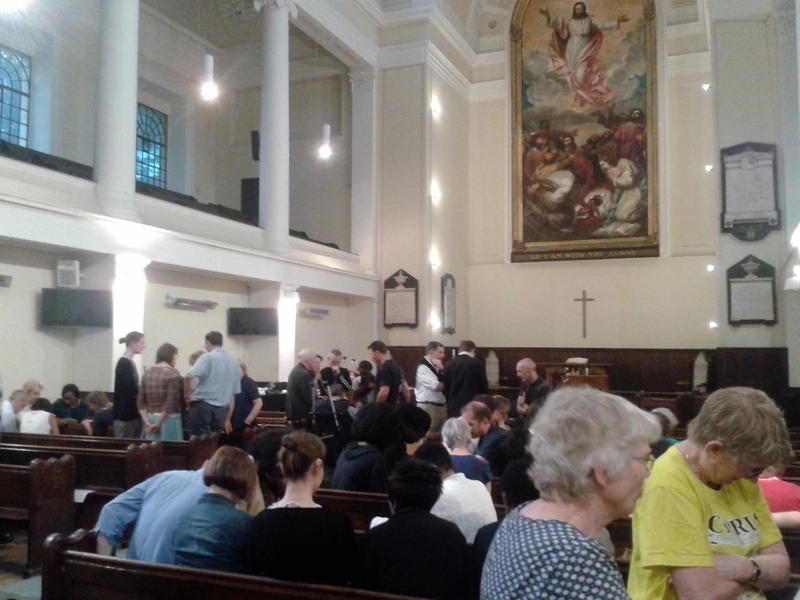 Christians from the churches of C4T (Christians for Transformation in Bermondsey & Rotherhithe) got together tonight to pray for the nation - especially thinking of parliament and our elected representatives at this time of political turmoil - and to pray for our work of sharing God's love in Bermondsey and Rotherhithe. Before I was a BermondseyVicar, I was a RedhillVicar, and it was back to my old church on Saturday for the ordination of Aneal Appadoo (left). 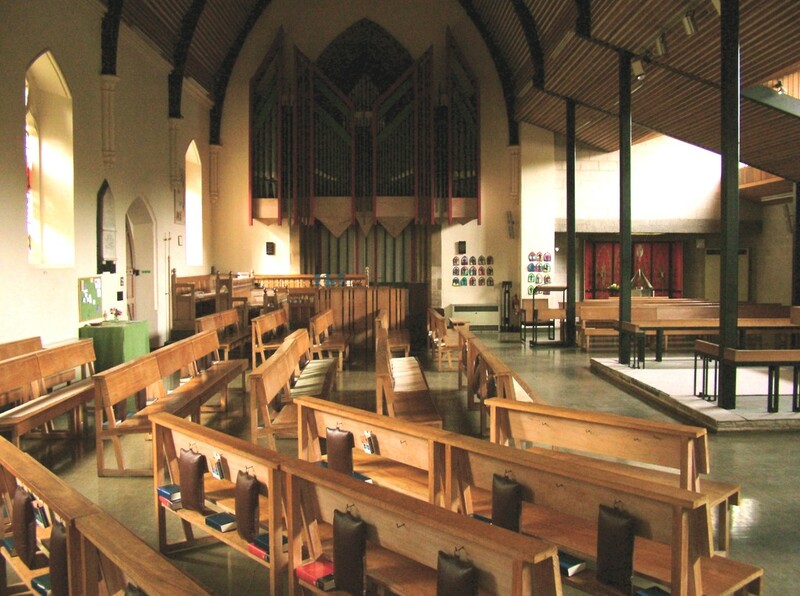 Aneal was a member of the congregation when I was in Redhill, but after training at theological college in north London (one of the best, but then I am biassed - I went there, too), he has come back as curate where he is doing great things. Bermondsey readers will remember that Aneal was the speaker at one of our recent men's breakfasts at St James. Among his many talents, Aneal turns out to be an accomplished film-maker and I was thrilled to see the video he has produced of Thomas Blumire's testimony. I have known Thomas (another member of Holy Trinity, Redhill) since he was a small boy and his story is both remarkable and moving. In the video which you can see below, Thomas's words are interspersed with photographs he has taken and music he has himself composed. Wonderful. It was the 'little room' at Westminster that was in my thoughts at our prayer meeting tonight at St Anne's. Brilliantly led by Ed and Mary-Jane, we prayed for the nation at this moment of turmoil and upheaval. 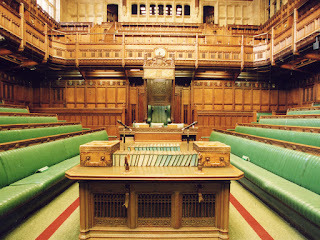 For me the events of the last week or so, and the tragic events previously concerning Jo Cox, and meeting our own MP at the Somme commemoration on Friday, have all made me think of the imperfect but precious treasure of parliamentary democracy. 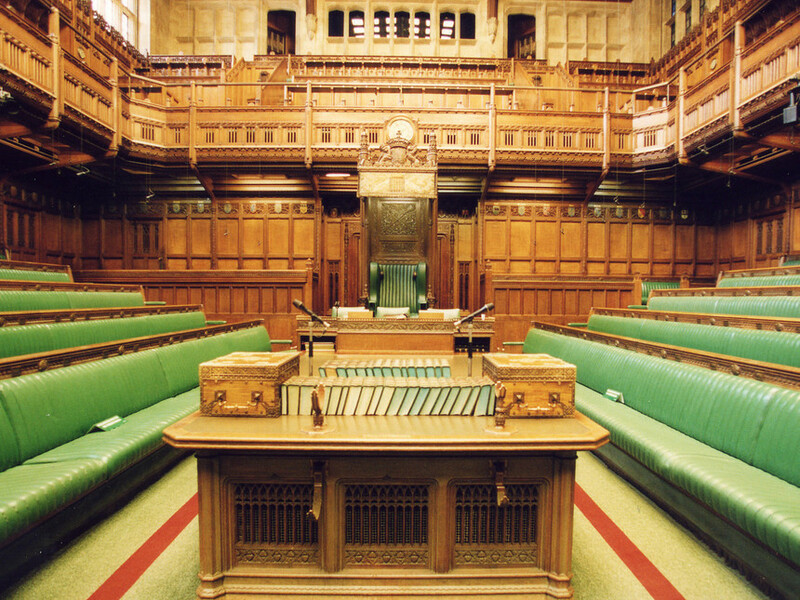 We get to choose our own representatives, and then, in that little room in Westminster, they get to decide the way forward for the nation. It was also Churchill who said that democracy was a very bad system of government, but all the other systems were worse, so thank God for parliament, and may God give wisdom, grace, restraint, and unity to our members of parliament at this critical time for the nation. 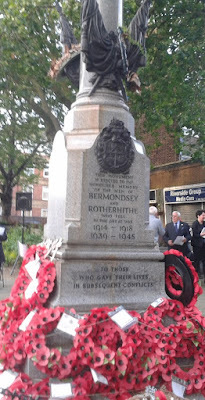 To the War Memorial in West Lane for an Act of Remembrance organised by the local branch of the British Legion to commemorate the one hundredth anniversary of the Battle of the Somme. West Lane forms the boundary between St James's parish and that of St Mary, Rotherhithe, with the war memorial being just inside the latter parish. Mark Nicholls, Rector of St Mary's and Area Dean of Bermondsey, led the service which included contributions from other clergy, including me, councillors, and the Mayor of Southwark. 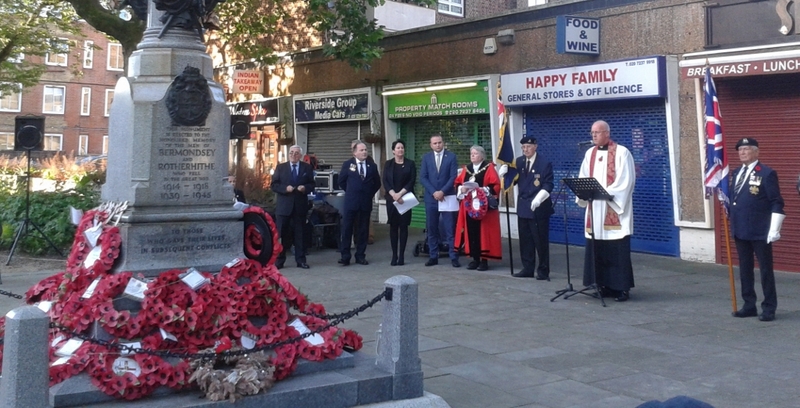 The Leader of Southwark Council, Cllr Peter John, and our MP, Neil Coyle, were also present as we remembered the events of 100 years ago.